Morningside State School are a public primary school catering to the Morningside area. Blue Lily donate their time to create posters and flyers for the various events held by the school. 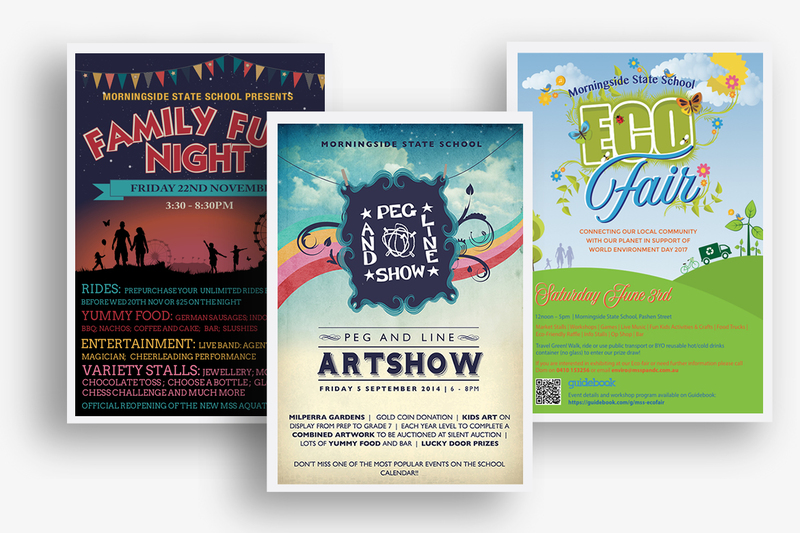 Professionally designed collateral helps to lift the profile of the school and fosters a positive school community. It also helps in fundraising as well as communication gateways between the school and its local community.